The Society was founded shortly after the Second World War. It staged its first concert on St. Valentine's Day, 1946. Its objectives are to encourage young musicians and to bring music of the highest standard to the area at reasonable prices. The Society has been fortunate over the years to have had the help and advice of distinguished Presidents including Sir Adrian Boult and Eileen Joyce. 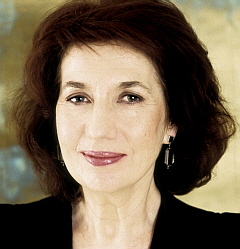 The current President is the internationally acclaimed pianist, Imogen Cooper. Concerts are usually held in the Bawtree Hall, Hazelwood School, Wolfs Hill, Limpsfield, RH8 0QU. Occasionally concerts are held in St. Peter's Church, High Street, Limpsfield, Oxted RH8 0DT to take advantage of the fine acoustics. The concerts are open to all. Membership is not required but a significant saving may be made by subscribing to a serial ticket for all five of the season's concerts. Maps to these venues can be found on the Society's web-site where you will find up-to-date information about events, forthcoming concerts and membership etc.